Thanksgiving in our household is pretty low key. For the past several years we took over the turkey-making duties from our aging parents. Our day starts with rising early to clean and prep the turkey then putting it in the oven. Then it’s back to sleep for a few hours before turning on the TV for the annual Macy’s Thanksgiving Day Parade. This is a personal nostalgic tradition of my own as I remember watching the parade as far back as I can remember. For dinner we only have a few guests on our list so the rest is pretty laid back. I treat the occasion as a casual family get together as it takes the stress out! I do remember when my daughter was a toddler I’d ask my mother to arrive an hour early to entertain her while we finalized the meal during crunch-time-side-dish-synchronization. After dinner it is chill time. Same for the Friday to follow-no Black Friday shopping for this household! We are a Cyber Monday kind of family. Thanksgiving is my favorite holiday. I love food. I also love candlelight, table cloths, soft music, big dinner parties and drinking wine. But the traditions that I remember and look forward to the most are the quiet moments that hug this holiday, touching on its edges. These are things like when my kids and I bake pies every year and we talk for weeks leading up to the big event about what those pies may be. We also do a smaller pre-Thanksgiving dinner the night before just the four of us so that we have leftovers for days to come and actually get to have conversations with the kids, before the big family event on the big day. And, of course, the annual declaration of all things for which we are thankful. We do this tradition at our smaller Wednesday night dinner. My dad growing up used to always say, “I’m thankful I’m not a turkey.” Never got old. Whatever the holiday Traditions (capital T) may be each year, it is always the more intimate ones that I love the most. Then on the holiday, the kids can run around like crazy people with their cousins and I can drink wine with the adults, watching football and enjoy the big, loud family I am lucky to be a part of. About eight years ago our family started a tradition at Thanksgiving. One that has stuck and created lasting memories. Each year we write what we are thankful for on a place card and set them around the table to be enjoyed through dinner. After we eat, we share all the thankful messages that were written, kids included. I still remember the first thankful message I wrote eight years ago. We had just moved into a new house, out of our apartment, and we had a washer and dryer for the first time in 5 years. No. More. Laundromat. I was oh so thankful for no more treks down the road with a car loaded down with a toddler and baskets full of dirty laundry. I was thankful for my bike because my oldest son and I rode everywhere together and, creating family memories while having fun, was icing on the cake. I was thankful for my nephew's sense of humor and kind hearts, my nieces and their helpful hands, creativity, and contagious smiles...and how all of them have so much fun together. It’s easy to be thankful for family and a house, but I wanted to dig deeper than that. Being thankful for the little things made those big things all the more special. Every year we continue this tradition. Some are heartfelt and some are funny. Some make you smile and some make you cry. When running late, I am thankful for hitting all the green lights. After a showering of Halloween candy from awesome neighbors, I am thankful for kids and a dog that will go on a hike with me at the drop of a hat so my pants will still button (You will not win mini Kit-Kat!). I am thankful when the juice box straw goes in without a struggle. I am thankful for a dog that cleans up after messy eaters. No, my kids are not babies or toddlers, but they ARE boys. I am thankful for friend-cations to relaxing places. I am thankful when someone, besides me, changes the toilet paper roll. Wait, what? Nevermind, Maybe I’ll be able to be thankful for this next year. But most of all, I am thankful for wonderful friends and family, not just once a year, but all year round. Anything that makes my ‘thankful story’ all the more brighter. Not sure how I got so lucky, but there isn’t a day that goes by that I don’t count my blessings. 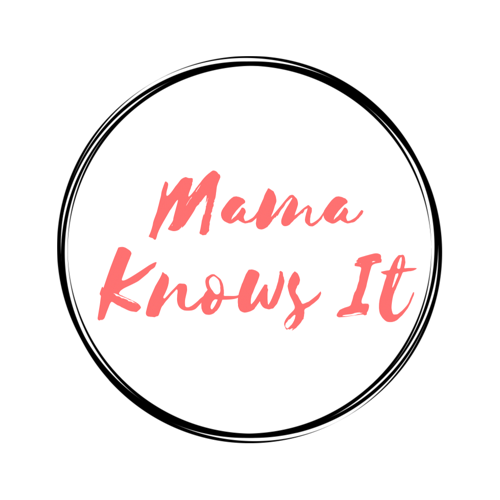 This blog journey is something that this group of Mama friends is thankful for this year and we want to thank all our readers by offering a $25 Target giftcard to one of you. Comment on our post here or on Facebook with what you are thankful for this year and we will pick a winner from those that posted. Share it too for an extra entry. We will pick a winner November 30th.